MyVU asked 13 graduating seniors how they found immersion at Vanderbilt and got as many different answers. We’re featuring their stories in the lead up to Commencement on May 8. Is there a better way to teach kids math? 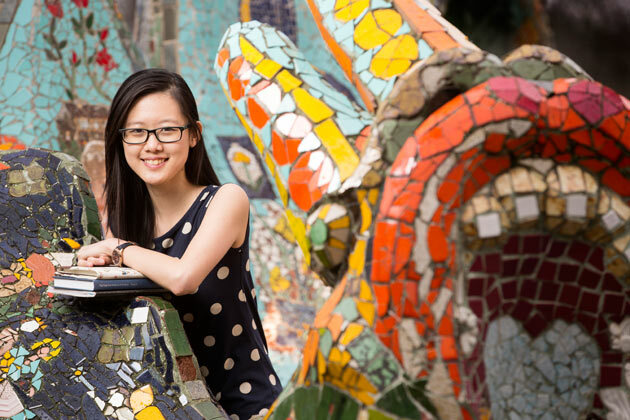 Junyi Chu, a child development and cognitive studies major, is using her honors thesis to explore that question. Chu became interested in the science behind how children think and learn while still a high school student in her native Singapore, a nation consistently ranked among the world’s best for public education. 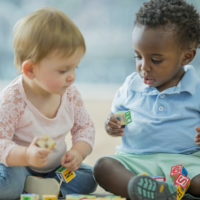 Under the guidance of Vanderbilt Associate Professor of Psychology Bethany Rittle-Johnson, Chu designed a research experiment involving students at the University School of Nashville. She wanted to see if “Singapore math”—a teaching approach based on the national math curriculum in her home country and gaining popularity in the United States—could help seventh graders at USN learn algebra. A key tenet of Singapore math is using illustrations to represent mathematical concepts and support problem solving. “We asked the students to solve algebraic equations that were presented either with or without a diagram. We thought that by providing these diagrams, we could make the algebra problems—which by nature involve abstract symbols—more concrete and easier for them to understand,” Chu explained. Chu said immersion in research has been a hallmark of her Peabody College experience. She got her start in Associate Professor of Psychology Georgene Troseth’s lab studying how media images affect young children. She then did a summer internship at Yale University’s Infant Cognition Laboratory under the supervision of Yale researcher Karen Wynn. The Singapore math experiment, which Chu began her junior year, is the first she’s carried out on her own from start to finish. Next, Chu wants to utilize her interests in quantitative methods and scientific computing—she has minors in both—to develop computational models of how we think and learn. She plans to spend the next year refining her focus area before applying to Ph.D. programs in cognitive development. Her long-term goal is to open her own kindergarten. “My dream is after I gain all this experience doing research, I could open a school where I apply what I’ve learned. But that’s a very far-off goal,” Chu said.